Valletta kept up the pressure on leaders Balzan when they battled past Hibernians by the odd goal in three to move just one point adrift of their title rivals. It was Danilo Doncic’s clan who drew first blood when Enmy Pena Beltre bursted down the line before flighting a cross into the box. The ball dropped on Malano’s feet who immediately struck it between the goals for 1-0. Valletta hemmed their opponents into their own half and they made their pressure count once again when Alba headed the ball into the box and as soon as he sniffed the goal, Prosa executed in front of an empty net. Immediately after, interim coach Mario Muscat put forward Jurgen Degabriele into the fray instead of Bezzina, in order to have a proper number nine upfront. 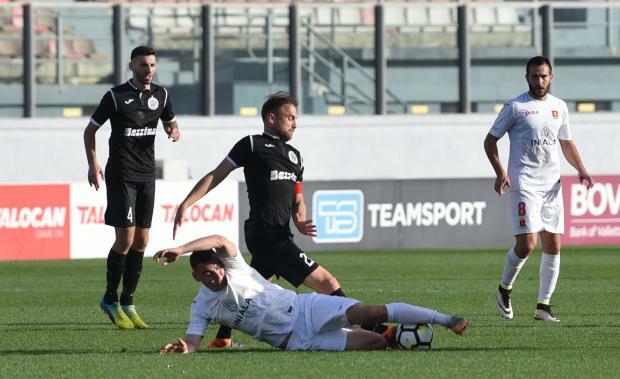 The Maltese forward justified his introduction when he sent a Jackson Lima’s cross into the far post to spark the Paolites into life just before half-time. In injury-time, Degabriele sent shivers down Valletta’s spine when he struck the woodwork with a close-range shot but Valletta remained on top to stay in touch with Balzan. BOV Player of the match Santiago Malano (Valletta).